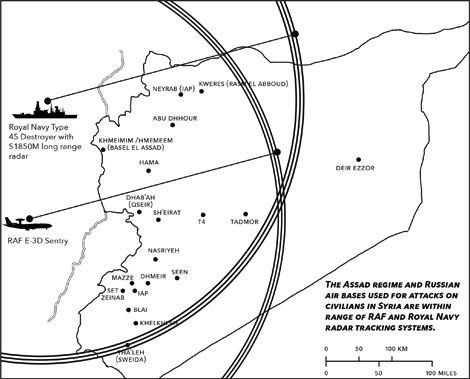 "A no-bombing zone requires giving the Assad regime an ultimatum to stop air attacks against civilians, and then answering any subsequent air attacks with carefully targeted strikes against Assad regime military assets." Sorry, but this is a de-facto declaration of war. And 5 Years too late. Assad would simply defy any ultimatum. He is used to crossing 'lines in the sand'. Not too late for the kids who will otherwise die tomorrow, and the day after, and the day after that if we do nothing. As for the ‘declaration of war’ part, there already is a war, and the UK is already part of it. The UK’s declared strategy is to end the Syrian refugee crisis and defeat terror through a political transition to a legitimate representative inclusive government that can ensure a safe Syria for Syrians and prevent Syrian territory being used by terrorists. Allowing Assad and his allies to carry on bombing civilians, driving more people out of the country and encouraging extremism, makes that aim impossible to reach, therefore the UK must recognise that civilian protection is a strategic imperative as well as a humanitarian need.